capacity in pipeline. Operation manners for cutting off type ball valve include manual, worm gear, pneumatic or electric actuators, where as for regulating type V type ball valve, open ball valve, open manners are of pneumatic and electric actuators. 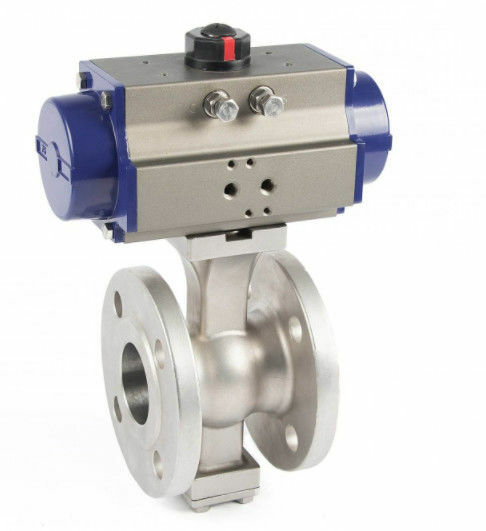 Of the application for metal sealed V type ball valve, the temperature is in general 200 .As specially ordering, the application temperature for metal to metal sealed V type ball valve can be 425 (carbon steel valve body) or 540 (valve body of stainless steel, CrMo steel, and CrMo V steel). For Soft Sealed V type ballvalve, the application temperature is in general 180(reinforced PTFE seat). there in no such problems as clenching or disjointing. thick fluid, and so on. 3. As per different working conditions of customers, several kinds of advanced techniques have been employed separately for the ball and seat surface of metal to meta l sealed ball valve, such as nickel base alloy by spraying welding (for hardness HRC60), stellite alloy by ultra-sonic spraying coating (for max. hardness HRC70), and specially hardened material etc. ,which are suitable for many kinds of critical working conditions. 4. 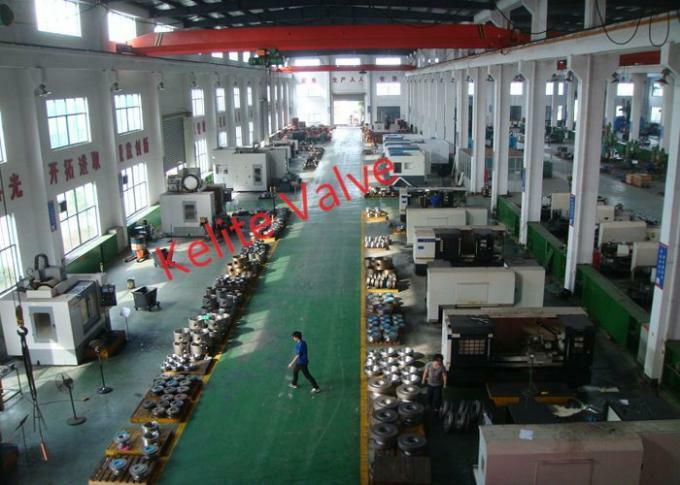 When the valve is fully open, flow capacity is big, pressure loss is small, and the medium would not deposit in the body cavity. 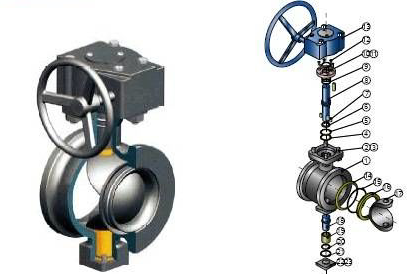 valve and general ball valve. 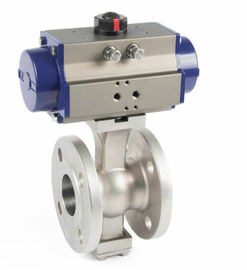 For regulating V type ball valve, its regulating scope available is wide, and its regulating accuracy is high.